Thomas Dunne Books, 9781250047533, 496pp. After Margherita's father steals parsley from the walled garden of the courtesan Selena Leonelli, he is threatened with having both hands cut off, unless he and his wife relinquish their precious little girl. Selena is the famous red-haired muse of the artist Tiziano, first painted by him in 1512 and still inspiring him at the time of his death. She is at the center of Renaissance life in Venice, a world of beauty and danger, seduction and betrayal, love and superstition. Locked away in a tower, Margherita sings in the hope that someone will hear her. One day, a young man does. Award-winning author Kate Forsyth braids together the stories of Margherita, Selena, and Charlotte-Rose, the woman who penned Rapunzel as we now know it, to create what is a sumptuous historical novel, an enchanting fairy tale retelling, and a loving tribute to the imagination of one remarkable woman. 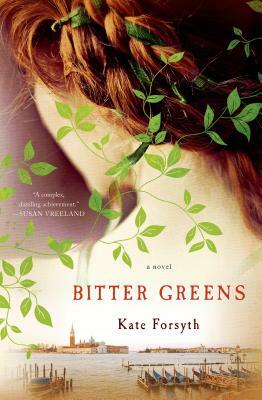 KATE FORSYTH is the bestselling and award-winning author of more than twenty books, ranging from picture books to poetry to novels for both children and adults, including The Heart of Stars, The Forbidden Land, The Pool of Two Moons, and The Witches of Eileanan. She is the only author to win five Aurealis Awards in a single year and was recently voted one of Australia's Favourite 25 Novelists. Her books have been published in 14 countries. She recently received her doctorate in fairytale retellings at the University of Technology in Sydney. She lives in Sydney, Australia.